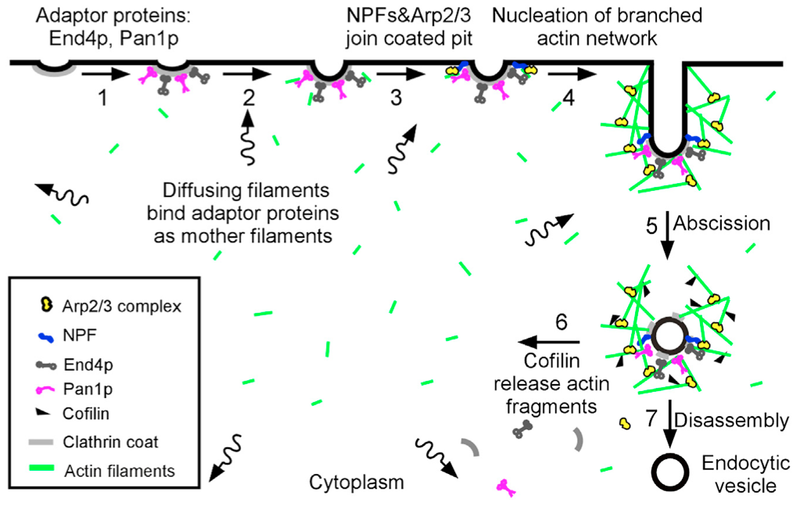 Actin filament severing by cofilin dismantles actin patches and produces mother filaments for new patches. Chen Q, Pollard TD. Curr Biol. 2013 Jul 8;23(13):1154-62. PMID: 23727096. This entry was posted in Announcements and tagged actin, announcement, cell biology, cofilin, endocytosis, Journal Club, mechanism, molecular biology, myosin, nucleation promoting factors, Science on September 2, 2013 by NateKrefman.